Formerly known as Next Issue, the Texture magazine app for Android, iOS and Windows is an all-you-can-eat buffet of digital magazines. The app's search and browse capabilities make it easy to navigate, and it lets you save articles to Evernote, among other features. I recently received a tempting offer (now expired) from Amazon: I could get a free 7-inch Amazon Fire tablet if I subscribed to the Texture digital magazine app for Android, iOS and Windows for six months. I already own four tablets, so I bravely declined. However, it made me curious about Texture, which serves up "all you can eat" magazines for a monthly fee. I reviewed Texture's predecessor, Next Issue, back in April 2012, when it was Android-only, and then reviewed its Windows version in March 2013. So I wanted to see how the app had evolved. I was pleased by what I found. Here's why. Texture wisely caters to our ever-shrinking attention spans by emphasizing magazine articles it thinks will interest you, and it works best if you designate specific titles as favorites. The "Top 10 Reads" feature guides you to popular, trending articles. An "Election 2016" section exists for the two people in America who have not yet had their fill of presidential politics. You can browse "Editors' Picks." And "Collections" gathers recent articles on newsy topics. During the Democratic National Convention, for instance, the app offered collections on "Obama's Farewell Tour," "DNC Speakers," and "Bill Clinton is Back," among other topics. It's not exactly a diverse collection but is still worth a look. Texture has a terrific search function. For example, if you type "San Francisco" as a query, you can see articles mentioning my adopted city in a diverse range of magazines, ranging from Surfer (July 2016 issue) to Fortune (Oct. 1, 2015). You can apply filters to only see results from certain magazines, as well. Along with social media sharing features, Texture lets you clip articles (as images that maintain the magazines' look and feel) to Evernote. Unfortunately, the articles aren't keyword-searchable, so it's a good idea to add a relevant tag and descriptive note title to each of them. Texture's free trial and price structure is all over the map. 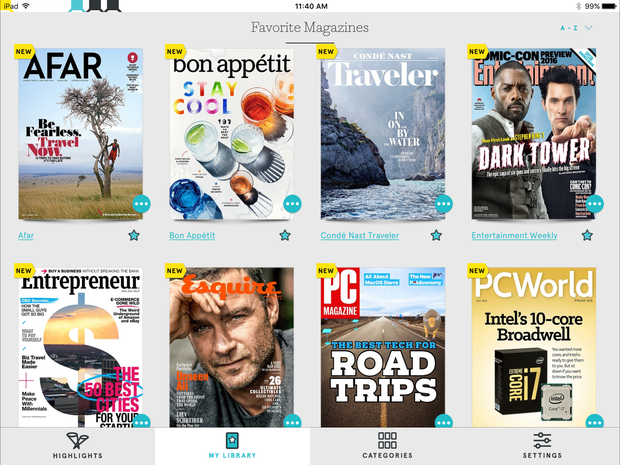 On its website, Texture currently offers a discount on its premium plan, with unlimited access to all of its weekly and monthly magazines, for $10 a month after a 14-day free trial. On Amazon, Texture premium costs the usual $15 a month, though it comes with a 30-day free trial. And when I downloaded the iPad app, I was offered a 7-day free trial. After that, it costs $15 per month. Clearly, signing up on the Texture website is the way to go, at least as long as the promotional price lasts. (It's not clear when it ends.) The "basic" Texture plan, which excludes weekly magazines, such as The New Yorker, normally costs $10, so the premium promo offer at the same price is a sweet deal. You can cancel your Texture subscription at any point, so if you're a magazine fan — or were until you gave up on subscribing to them because you didn't think you had time to read — I highly recommend Texture. 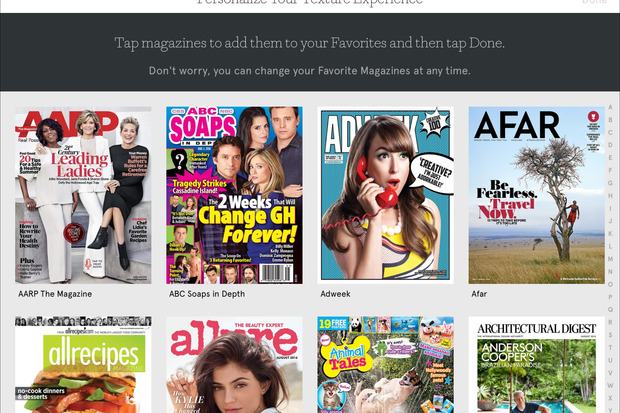 The app has come a long way since its days as Next Issue, it includes just about every major magazine you can think of, and it delivers all this content in bite-size chunks that are easy to search.